I will be the first to admit it. When I go on vacation, I make sure to note where the closest Starbucks is. I am the first to buy the Pumpkin Spice Latte while the sun is still shining outside. I have been known to go 4 times a day to the overpriced coffee shop. I can't help it, it's an addiction really. 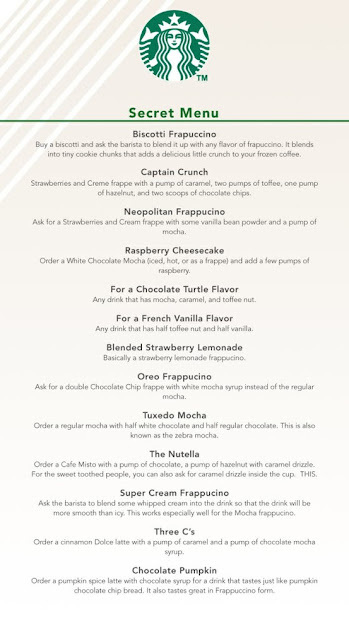 I found this "secret" menu on Pinterest and thought it was kinda fun. What if you could make your own Starbucks drinks at home. Boy, would that save me a ton of money. 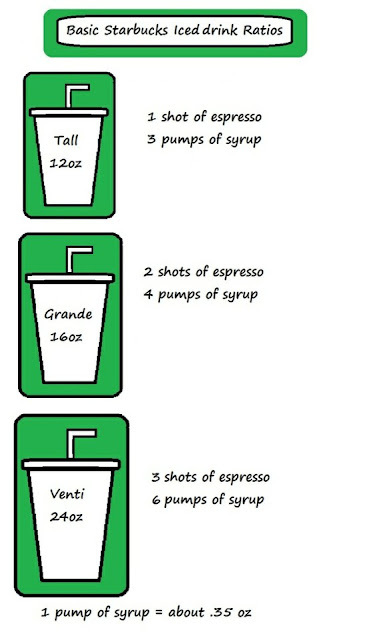 If you go here you can find out how to make your own holiday drinks, just like Starbucks. Think I may try some of these myself! I also thought this poster was adorble! 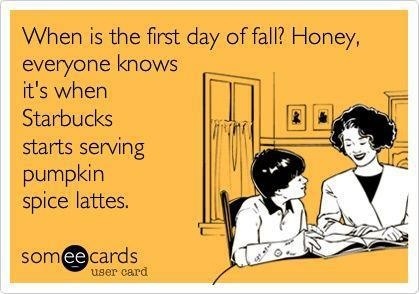 And how many of you love the pumpkin scones from Starbucks as much as me? One of my favorite foodie blogs has a copycat recipe. I've never had one, but now I think I must! (9/1) they never bend! :( Oh well, nothing says "Official Holiday Season" like the first day Pumpkin Spice is out! In fact all my friends know how much I love it and I usually get at least one from someone in my world on the first day! Yea for awesome friends who really 'get me'! 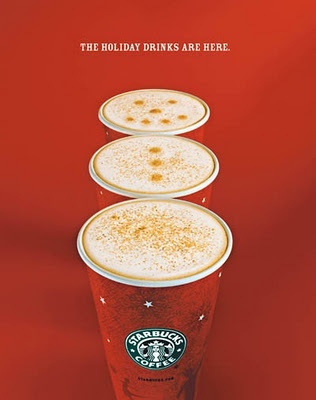 LOL Now go enjoy a nice coffee...at Starbucks! Pumpkin latte is my fave! But to me part of the magic is going to Starbucks! I love anything pumpkin right now I would love some pumpkin bread! 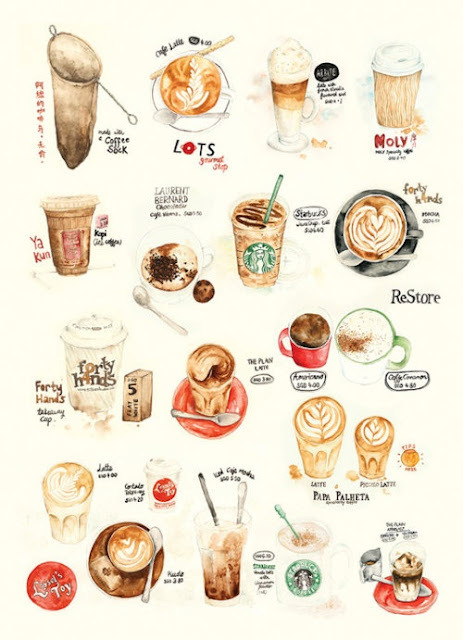 I am a "tall no-foam latte girl." My favorite post! I'm an addict as well. I'm a former Starbucks barista so all I need is one of the $15k machines and I can make just about anything. Another little tip is you can purchase almost all of the syrups (sorry no mocha, white mocha, or pumpkin spice) for $6 or so a bottle! One of my favs is a chiader. It's a Carmel apple spice with 1/2 the cinnamon dolce syrup and the other half of the syrup replaced with chia. So yummy! I had my first Pumpkin Spice Latte of the season on Saturday night. Mmmmm...warms my heart. I always say that one day, when I have space, I am going to make a coffee bar. It would be so fun.